It was huge last year and it’s going to be huge again this year. Sonic Sherpa takes to the car park and is running a party in partnership with the Stones Corner Hotel. Free. All ages. Kicks off at midday. Pop up bar. Food truck. 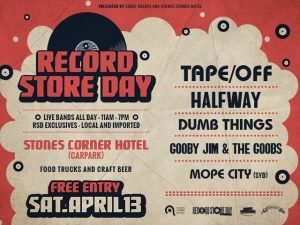 Music from local bands: Halfway, Tape/Off, Dumb Things and Gooby Jim & The Goobs. 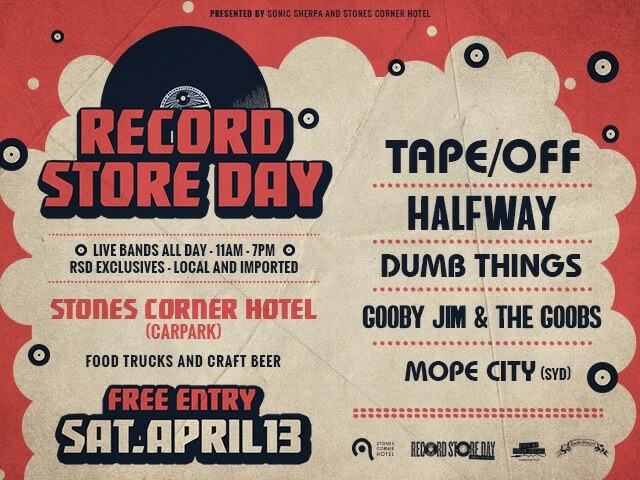 All these bands have recent vinyl releases available on the day. Plus jazz bands. Plus limited edition records and lots of stuff for sale.